St. Petersburg Police are on the scene of a motor vehicle accident. The crash occurred shortly after 8AM on Thursday, March 23, 2017. A stolen Mustang hit a SUV and crashed into a vacant house at 2029 35th St South. 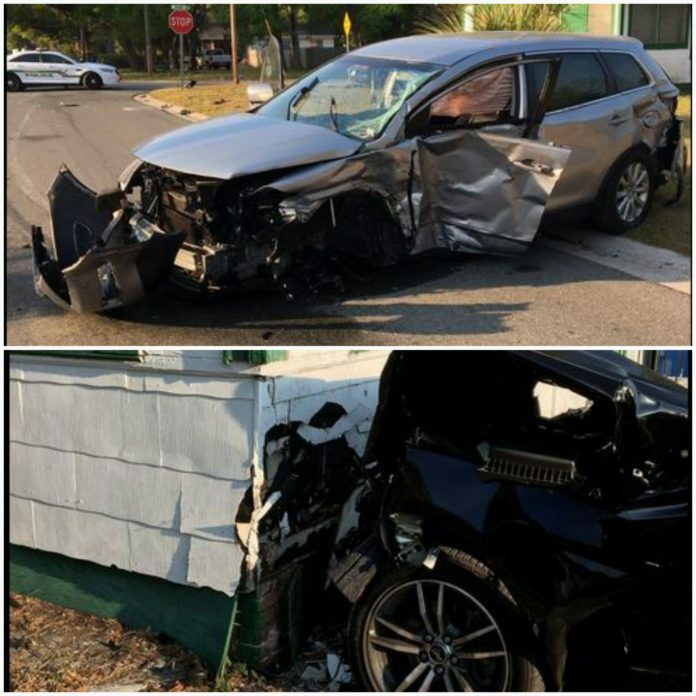 Preliminary investigation shows that the driver of the Mustang, 18 year-old Ali Granville was speeding when he ran the stop sign at 35th St S. and 21st Ave S.
He collided with an SUV occupied by a woman and her 14-year old son. The impact of the crash caused the Mustang to hit the vacant house. All three people were transported to the hospital with non-life threating injuries.